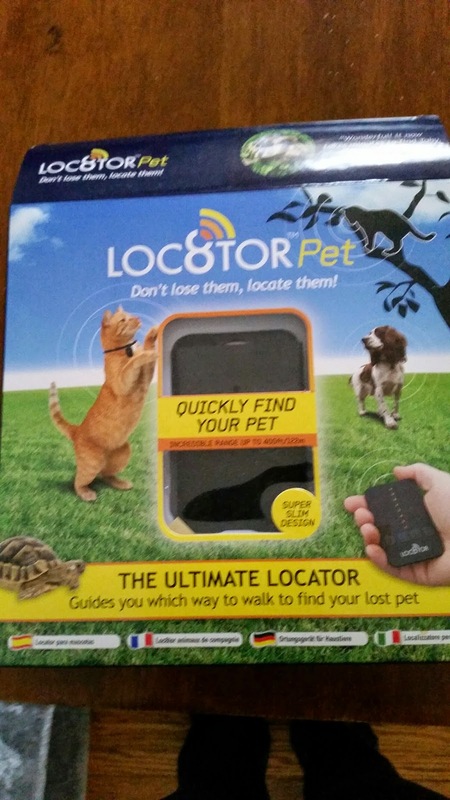 One of the best investments I’ve made for my pets is the Pet Loc8tor. It has saved me many times from the panic of losing our cats. It is a small device that attaches to the pets collar and a tracker that is smaller than a cell phone. It works with pinpoint technology. Meaning it points to where they can be found. It is accurate to within one inch of where the Pet is. It has a long range of 400 feet or 122 meters. I chose this tracker over others because it was a one time purchase with no monthly charges. The cost was only $99. which is very reasonable for the peace of mind it offers. It is also a fun way to play hide and seek with the pets. They can no longer hide from me when it is bath time or time for pills. That is a great idea. I make my kitties stay inside, but if they went outside, I would want this. Mine are supposed to be indoor cats but I had one escape and couldn’t find her for two months. That was enough of a scare to make me buy these.